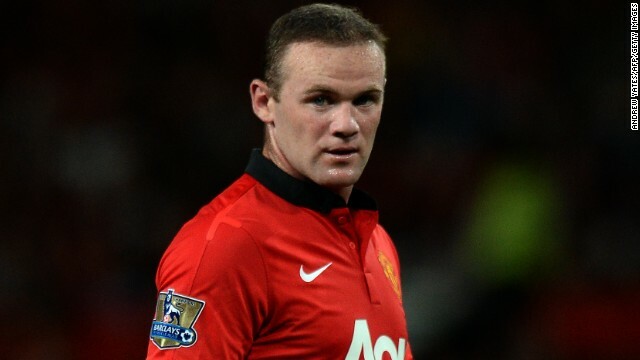 England striker Wayne Rooney joined Manchester United from Everton in 2004. (CNN) -- Chelsea manager Jose Mourinho has told Manchester United's Wayne Rooney to decide where his future lies after the England striker starred in a goalless draw between the two teams on Monday. Chelsea have seen two bids rejected by United for Rooney, who has been the subject of almost constant speculation throughout the transfer window. When asked in his post-match press conference whether he wanted Rooney to publicly make his intentions clear, Mourinho responded: "Yes, I would." Rooney started for United in David Moyes' first competitive match at Old Trafford since replacing Alex Ferguson as manager. Moyes is adamant Rooney will remain in Manchester, but it did not stop Mourinho saying last week that Chelsea would return with a third bid for the former Everton player. Rooney, 27, joined United in 2004 and he is the fourth highest goalscorer in the club's history, having found the net 197 times in 404 appearances. Mourinho intimated he had been alerted to Rooney's desire to leave United and now he has called on the player to conclude the issue once and for all. "I think the person that started the story has to finish the story," continued the former Inter Milan and Real Madrid coach. "A club like us, a manager like me, the people that work in the club with me, we are not silly to try to get a player from a big club, a big club that doesn't sell what they don't want to sell. "We are not silly to try something if somebody didn't start [it]." Blog: Can Moyes meet United challenge? "Do you want me to tell you what for me is the most important thing?" Mourinho continued. "It is that he played very well. "He was a real professional, playing for his club, playing for the club that pays him. He tried to win, tried to score. He was fantastic. "After that he wants to leave? He has to say. Or he decided now he doesn't want to leave any more. His problem. But I praise him because he was fantastic, he played a fantastic match in difficult circumstances." The draw leaves Chelsea top of the English Premier League with two wins and a draw from their opening three matches. Defending champions United have four points, a win and a draw, from their opening two matches.